The federal government launched a $950 million program to fund 'superclusters' of high-tech industries on Wednesday morning. Bains to speak at BlackBerry QNX offices in Kanata, Ont. The federal government is spending $950 million to fund an "Innovation Superclusters Initiative" that it says will "create more middle-class jobs and more opportunities for Canadian businesses to grow into globally successful brands." Minister of innovation, science and economic development Navdeep Bains made the announcement at the offices of BlackBerry QNX in Kanata, Ont. near Ottawa on Wednesday morning. "We are looking for bold proposals with ambitious visions and missions," Bains said. Up to five superclusters will be created. Each supercluster will be a non-profit consortium created by large and small companies, along with post-secondary educational institutions or non-profit organizations. Applications will be accepted from both Canadian companies and international companies with Canadian operations. "Each business-led consortium must commit to matching dollar for dollar the amount it is requesting under this initiative," said a government press release. 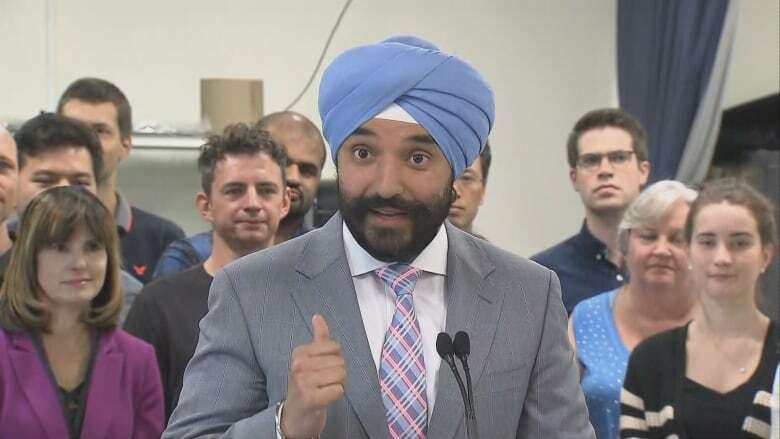 Minister Bains said he hoped to announce the successful applicants by the end of the government's fiscal year. The supercluster program follows up on innovation commitments made by the federal government in its 2017 budget.